Deal or no deal? For the world's major oil producers, it looks like the answer will once again be "no deal." Oil prices dropped 3.5% on Tuesday as OPEC struggled to agree how to restrain output at a meeting in Algeria. Three OPEC members said the group was discussing a production freeze, and even the possibility of a cut. But there was disagreement over how much oil Iran should be allowed to pump as it emerges from years of sanctions. Iran's oil minister played down expectations of a firm agreement at the talks. "The informal OPEC meeting ... is aimed by the participants as a consultative gathering and should not be expected to be anything more than that," Bijan Zangeneh told state media. The idea is that an output cap will help put a floor under prices, which have risen from $26 per barrel in February to $44 but are still down more than 50% since 2014. The Saudis say it is possible to get a deal in November but they haven't determined the final formula on when to start the oil production freeze and how many countries will be involved. 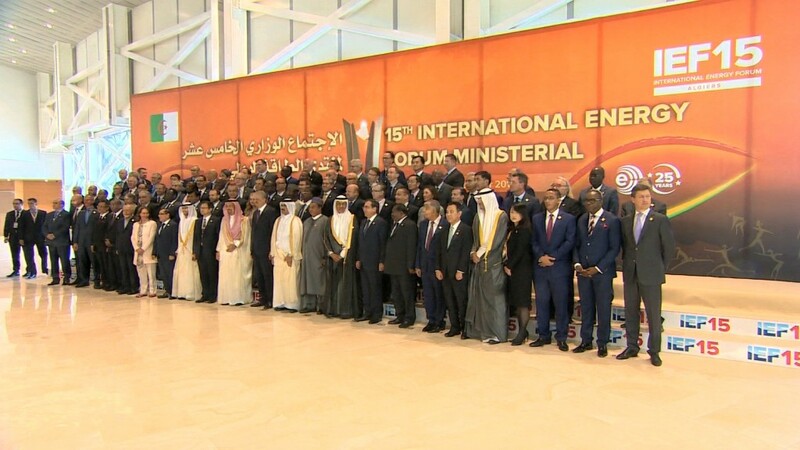 Saudi Arabia's Energy Minister Khalid Al-Falih said: "It depends on what month we freeze at...but it will entail a collective cut." However, the Saudis have also said that some countries like Nigeria, Iran and Libya may be given an exception for various reasons. Russian Energy Minister Alexander Novak said that keeping production at the current level would help narrow the gap between demand and supply. Iraq, the cartel's second largest producer, had boosted hopes of an agreement earlier on Tuesday. The country's oil minister Jabbar Al-Luiebi said that Baghdad was willing to freeze production -- or even cut it -- if a consensus emerged in Algeria. "If the freeze is going to have a positive impact on prices, then we agree with the freeze," Al-Luiebi told CNNMoney on Tuesday. "I am optimistic." Oil prices have bounced before on hopes of a freeze, only for them to be dashed when talks collapsed. The lack of cooperation in the face of a two-year price collapse reflects a schism within OPEC between Saudi Arabia and Iran, which has doomed previous efforts to freeze production. Iran is committed to increasing its output to 4 million barrels per day after years of international sanctions, and its representative in Algiers has indicated a deal is not likely to be struck this week. On Tuesday, comments by energy ministers suggested that Iran's production level remained a sticking point in negotiations. Any agreement to restrain output would also have to address the prospect of increased production from Nigeria and Libya, which have both suffered disruptions due to conflict. Al-Luiebi suggested that Iran, Libya and Nigeria could be given a reprieve of three to six months as part of a deal. That could give them time to ramp up production, while also satisfying other key players. "You know damn well that oil is politics," Al-Luiebi said. "It's a game of politics."